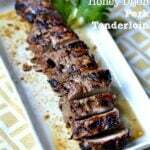 I realized a couple of weeks ago that I almost always cook pork tenderloin in my crock pot. No real reason why. 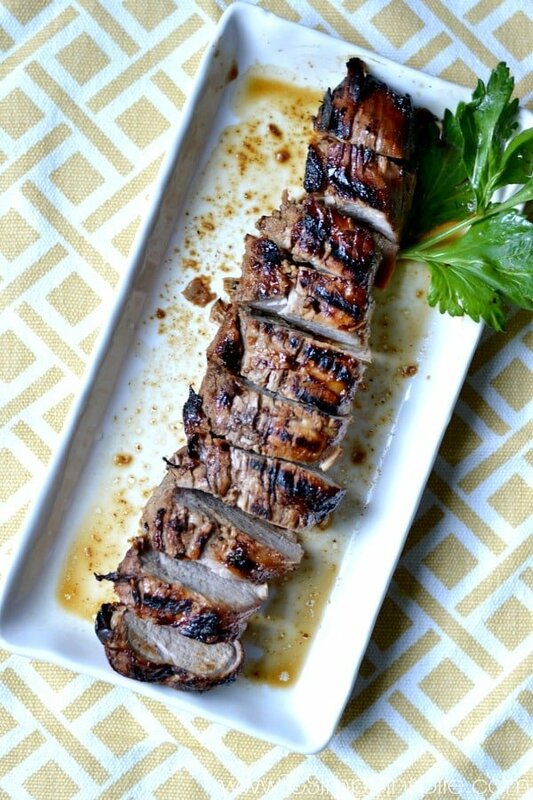 Just that I have a few family favorite recipes, like this Apple Pork Tenderloin and this Balsamic Garlic Pork Tenderloin, that are craved a lot! Funny thing, I rarely use my crock pot in the summer. I think I mentally associate the crock pot with Fall and Winter cooking. It’s kind of like my not grilling in the winter. I beginning to think I’m strange and need to rethink a few things. Hot summer weather calls me to grilling and I was craving pork tenderloin. This Honey Dijon pork tenderloin is so easy and absolutely wonderful! A quick 5 minute prep of the marinade (which you can do earlier in the day) and popping it on the top rack of the grill. Cooking it on the top rack keeps it nice and juicy and prevents the marinade from getting burned. I love to serve it with roasted potatoes and any roasted veggies. Place meat in a large resealable plastic bag. 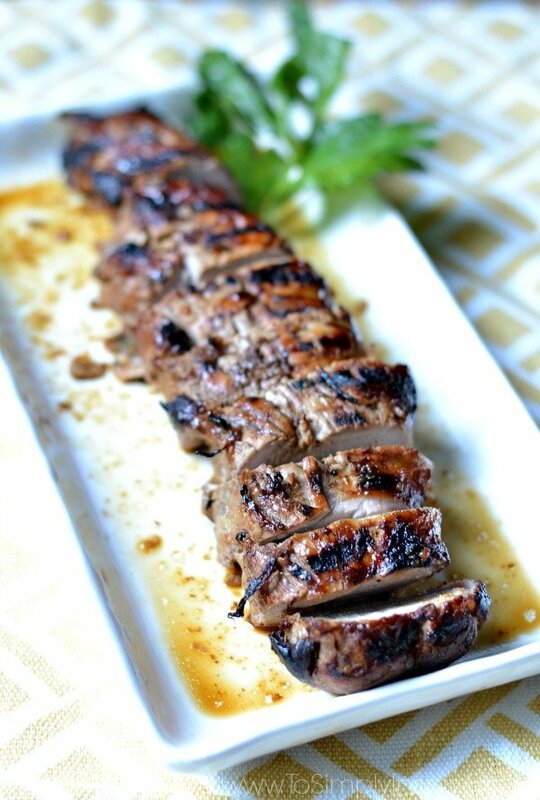 Pour marinade over tenderloin and refrigerate for at least 4 hours. Preheat grill to about 400 degrees F.